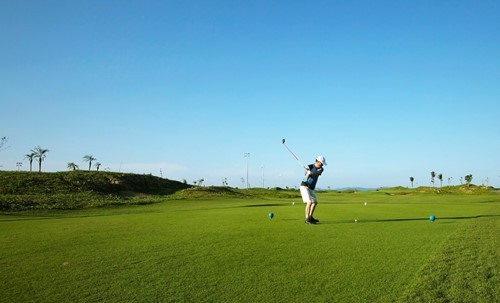 HÀ NỘI — The SMIC Golf Challenge Tournament is scheduled for November 25 to 27 at FLC Samson Golf Links in the central province of Thanh Hóa. The event has a total prize of VNĐ50 billion (US$2,174,000), including 20 luxury cars for Hole in One prizes. It will attract the participation of around 1,000 golfers from across the country. Players will have a chance to play for free for seven days at the FLC Samson Golf Links, before officially playing at the event. The winner with the best gross will walk away with the Cup, 35-year member card at the Golf Links and many valuable gifts from sponsors.